As you may know I love Wonderful Graffiti. 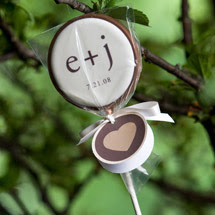 They have just come out with a new chocolate line of accessories for your wedding. 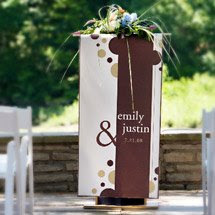 Everything from banners, coasters, hanging place cards, bottle wraps and tented place cards. I could go on - You have to check it out. 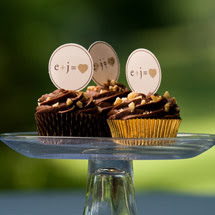 They are chocolate brown with polka dots and would look amazing with sage green or blue linens. 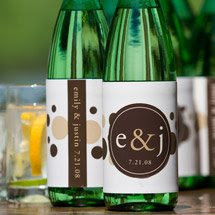 You can start off with the invitation, have a beautiful banner at your ceremony, bottle wrappers at the reception and finish it off with favor suckers as the guests leave. For an additional charge other colors are available.